I qualified from Guy’s Hospital and worked for several years in Hospital Medicine and Surgery in the U.K., Canada and New Zealand. 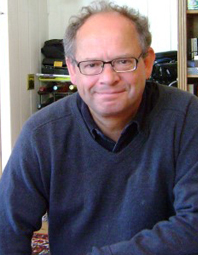 I then joined an established General Practice in West Sussex as a partner and later became a Trainer and Appraiser. My main clinical interests include dermatology and minor surgery where I have gained over 20 years experience. Currently the main practitioner at our Harley Street practice in London, I’m very much looking forward to establishing our practice in Northern Ireland as we continue to build on our reputation for clinical excellence. I am also a Member of the Expert Witness Institute and a Fellow of the Royal Society of Medicine. Tell us a bit about Dr Newmans Clinic. 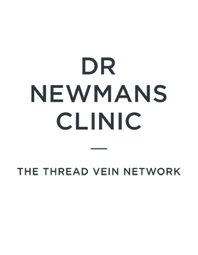 We are proud to be the leaders in our field and to specialise in the safe and effective treatment of thread veins. Using a pioneering non-invasive technology called Thermocoagulation, and treating thousands of patients UK-wide annually, our patients have the total reassurance of receiving true clinical expertise in this important field. What makes the clinic unique? Our unique training and our excellent reputation as the UK’s principal doctor-led thread vein removal specialist. Talk us through the Thermocoagulation treatment. This technique uses microwave technology to destroy thread veins quickly, without scarring or pigmentation. Often providing instant results, Thermocoagulation is far more successful at treating thread veins than laser therapy, and is also totally non-invasive. As a highly effective leg treatment, Sclerotherapy is a process whereby thread veins are injected with a saline solution to cause swelling in the vein wall which will destroy the vein over several weeks. Each treatment is quick (30 minutes) and virtually painless. As a Doctor, my colleagues and I place as much value on the consultation as the treatment itself as it provides the opportunity to fully examine the area/s of concern. More often than not the actual depth of the thread vein is the important factor, which the examination determines and allows a clear treatment plan to be outlined at the outset. The consultation also provides the opportunity to understand my patients’ medical history and answer any questions they may have.